Your wedding day is one of the most important days of your life. Make your entrance in style and create memories that will last a lifetime. 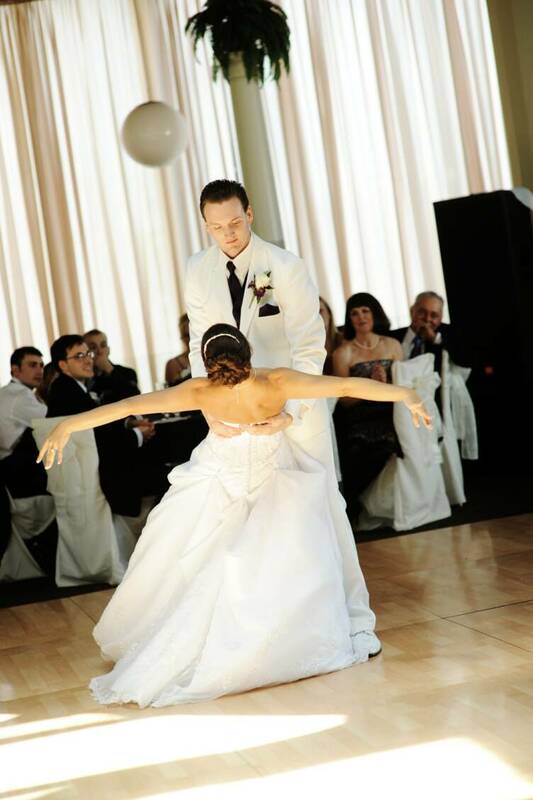 We specialize in helping couples take the anxiety out of their first dance with customized dance lessons. We can create a personalized choreography that incorporates ballroom basics and partnering skills. Instructors can also adapt the routine to fit your song choice and reflect your personality as a couple. 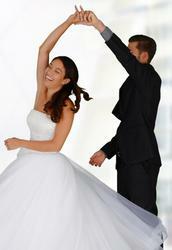 We also teach moves for fancy entrances, turns, dips and even lifts for the more adventurous couples. Brides & Grooms get in on the trend that’s taking the internet by storm with choreographed wedding dances. One is for the 1st Dance, where the newly wedded couple take to the floor for their first dance. Choose a simple relaxed, natural-looking wedding dance, a fun-themed dance, an elegant dance or a show-stopping choreographed wedding dance. Your wedding day is one of the most important days of your life. Make your entrance in style & create memories for yourselves and for your friends and family to last a lifetime. Another choice would be for the Bridal Party to break out into a full-on pre-rehearsed routine. Bridal party dances are the latest craze in wedding fun. Imagine your entire wedding party dancing to a song of your choice, dressed in their wedding outfits. A professionally choreographed group dance has visual impact and sets the tone for a fun filled reception. The Mother/Son wedding dance can symbolize memories of a lifetime for many mothers. It doesn’t matter if the dance is slow or fast or sentimental or upbeat. A well-choreographed dance will create an emotional and touching moment for everyone to share. Lastly the ever popular Father/Daughter dance. This is the 1st time you will be dancing together as a married daughter with the 1st man in your life, so make it special! Choose serious and sentimental or fun and funny. Anything goes as long as it works for you both. 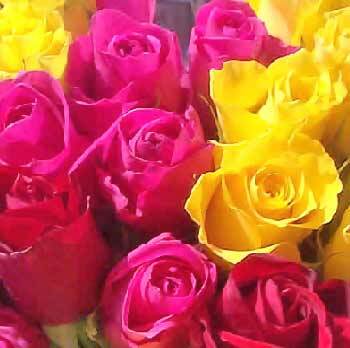 We also offer space rental for Bridal Showers and Engagement parties. Rental may include 1 hour of instruction in the dance of your choice. We also provide custom music editing if you would like to have a medley of more than one song, or we can shorten the length of your selected song.